Home FeatPeople kevin durant people Kevin Durant named MVP: What time is it? It's KD's time! 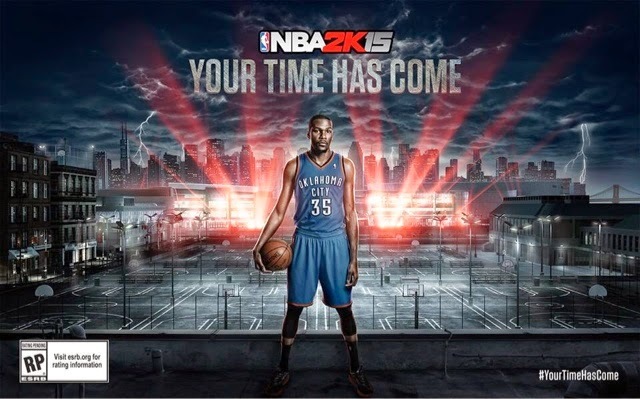 Kevin Durant named MVP: What time is it? It's KD's time! Scorer, playmaker, finisher, boards, Kevin Durant(KD) got them all. An overall player in the hardwood and respected off the court. He even got the moniker Durantula because of his long arms and great leaping skills, whenever he slams the basket for a monster dunk! We first saw him at the pages of Slam Magazine(ish 106, to be confirmed). He got featured as a skinny player whose potential in joining the league is still in question during that time. But now he's all grown up, slamming boards, winning games, and making fans of the opposite team cry. A few days back(May 1), news went all over the internet that his hometown newspaper called him Mr. Unreliable, due to OKC's struggle against Memphis Grizzlies who gave the team a hard time during their matchup this Playoffs. The wheel has turned and he earns his first MVP. His current strong contender who's just also been named youngest player to score 4000 points (just in the playoffs), Lebron believe that Durant truly deserves to be the MVP this season. Not only that, +NBA2k just announced that he, Durant, will be fronting the cover of the number 1 basketball game in console, pc, portable to date. He's the face of the upcoming NBA2K15 basketball video game. Now that the semifinals of the 2013-2014 Playoffs just started, which do you think will be the strongest or most difficult team KD must face to reach the Finals? And if they make it to the Final, which team would you like them to play with?